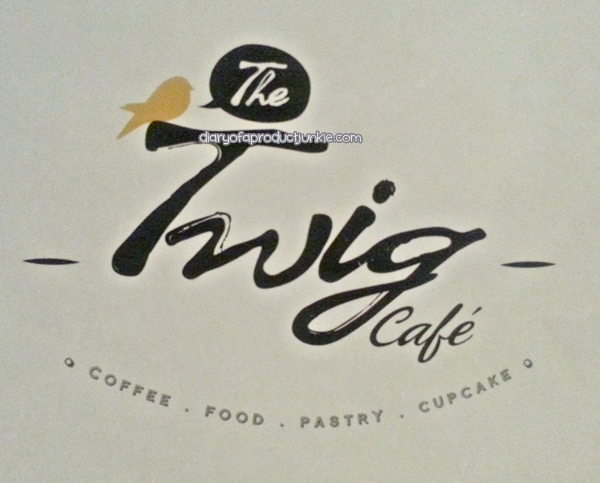 Hello, lovelies~ Last Thursday, I went to a cafe at Pantai Indah Kapuk, located at North Jakarta, called The Twig Cafe. The logo itself is very simple and adorable, with a small bird sitting on the 'T' part of the logo, as if sitting on a twig. Pretty neat, huh? 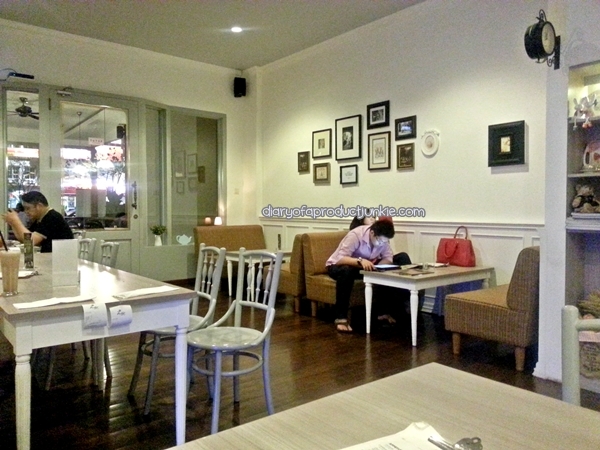 The cafe itself feels cozy, like dining at home, but with cute accesories hanging from the wall and arranged neatly on the shelves. If you've seen cafes in anime, I think this one comes close to representing that image. It has cute decorations on the walls and on the shelves, making me feel all warm and fuzzy inside. I didn't see the kitchen where they prepared the food since it is located on the second floor. 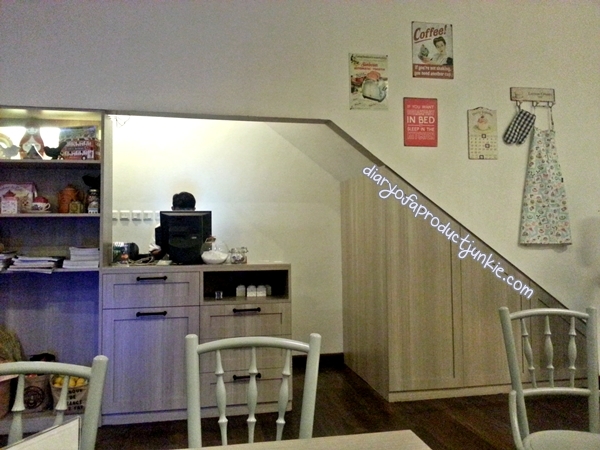 The first floor, where the cafe was, only has a kitchen where they prepared beverages. That was a well-thought of concept since the smoke won't affect the customers should there be any. I ordered a couple of dishes that were the chef's recommendation. 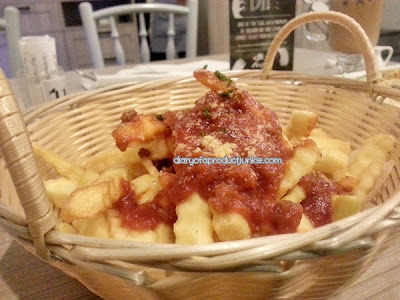 For starters, I got the Bolognese Fries, which is french fries topped with homemade Bolognese sauce. You know, the one they used on spaghetti? The fries were crunchy on the outside and soft on the inside, without being too greasy. The Bolognese sauce itself is a bit sour, probably because of the tomatoes, but it was fresh tasting! For mains, I got BBQ Spare Ribs with butter rice and coleslaw on the side. 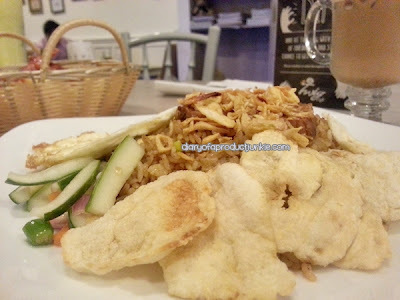 You can opt for french fries, if you happen to dislike rice. The rice is warm to the touch and doesn't taste too greasy albeit being buttered. The ribs are definitely a winner! 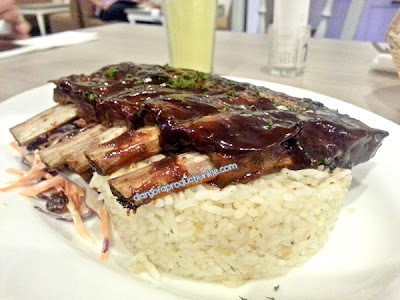 It is tender and succulent, but the best part is the meat falls off easily from the bones. I enjoyed it a lot! Another specialty is the Family Recipe Fried Rice, which is fried rice with seasoned stewed pork slices, pickles and crackers (emping). It has a little spice in it, but not too much that it makes my mouth on fire. It complements the tender and juicy pork slices perfectly. 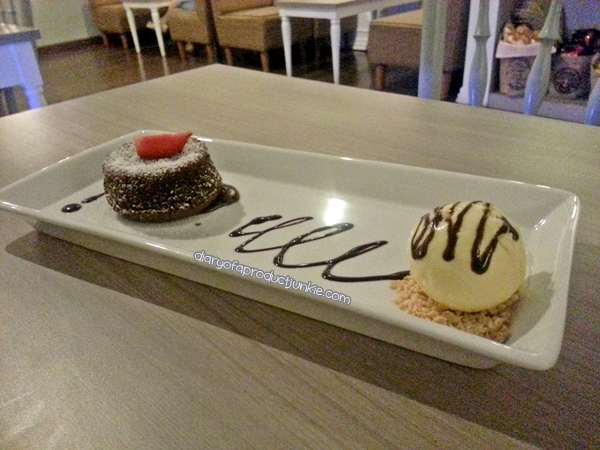 For dessert, I ordered the Molten Chocolate Cake, which is a regular chocolate cake that has chocolate melts in the middle section. I'm not too keen on this one, though, since I feel that the chocolate cake is a little bland. It is accompanied with vanilla ice cream. Please excuse the picture since the lighting got bad. 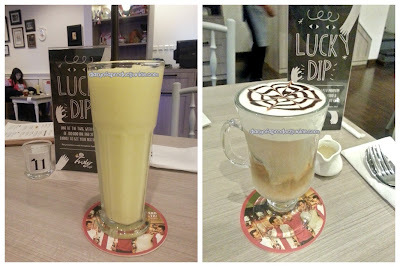 As for beverages, I got Capuccino and Tango Mango, which is similar to a mango slushie. The beverages were alright, but they're not that great. However, I do still enjoy them.